Christmas Creek is a beautiful creek. Not big, not small but part of a bigger picture. It is part of the catchment for the Logan river and is used (sometimes abused) for irrigation. It is pristine at our point but fails long before it reaches Moreton Bay. Not an unusual scenario for all our river systems unfortunately. 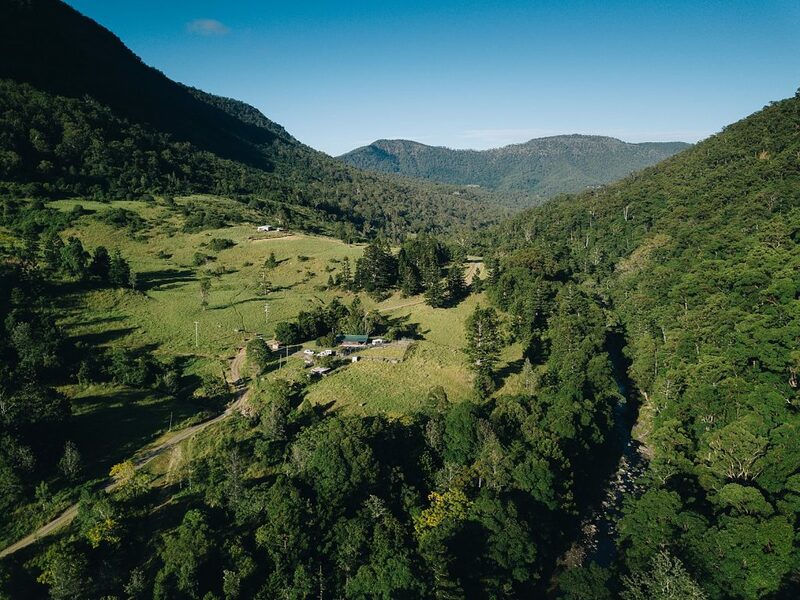 In our valley where Christmas Creek emerges from the Lamington National Park in the Boarder Ranges it always flows. Over rocks it is steady and reliable but when we have a rain event it can be like rolling thunder. It is accessible only in parts however as a variety of weeds have a strangle-hold over it. Once more Wongari is partnering with SEQ Catchments to clear up a little more of our waterways and catchment. The story so far: two years ago we got a grant to make accessible and clean up Waterfall Creek as it is a major tributrary to Christmas Creek which, in its turn, is a significant source of the Logan River. We managed to get a healthy start on 200m of Creek, in length, 50m wide, and which runs through our property, Wongari. It is still a work in progress, as a project this size can never be done justice in under a few years. But by the winter of 2017 we hope to have it under manageable and sustainable control – a joy to behold. It's other justification was to reinstitute a wildlife corridor between the McPherson Ranges on our South and Buchanan's Fort to our North. Waterfall Creek begins at Lamington Falls on the southern end and links two national parks. Now we are extending this work along Chritmas Creek and cleaning a major ravine and notorious slip area. It is a slightly less ambitious undertaking but, as the idea of a ravine denotes, it is not easy terrain to get at the lantana, glycine, croften and velcrow weed. A new danger on the block is devil's fig. The work will be very noticeable from Christmas Creek Road and open up a long stretch of Christmas Creek. The major aim of the project is to create more habitat for the koala, stabilise a notorious slip-prone area and minimise sediment run-off. Then, just to make things more interesting, SEQ Catchments has sensed that a more ambitious project might well be possible. 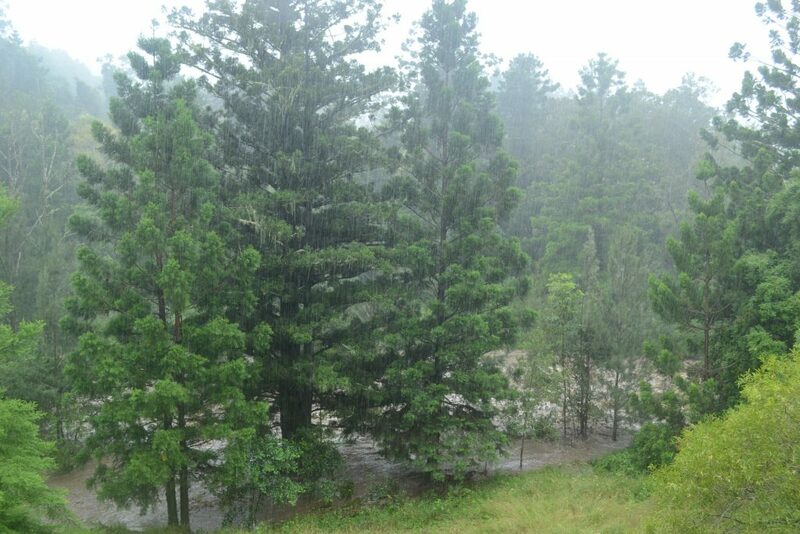 4Kms of creek could be cleared. It will start where the bitumen ends and finish where the dirt road meets national park ie 6 kilometers of windy, dirt road. It is a project in the making with nothing final yet and depends greatly on a credible land-care group being formed from dirt-road residents. But a pilot project is under discussion and support is enthusiastic albeit, with qualifications. There are doubts about the feasibility of such an ambitious project. Will we hold it together or fall out? Will we beat the weeds or will the weeds beat us? Such a long-term project relies heavily on the goodwill, abilities and availability of many stake-holders. So, initially, we will start our own little landcare group and have an open invitation to one and all. Ultimately, though, it will be held together by a committed core. Only time will tell if that happens. 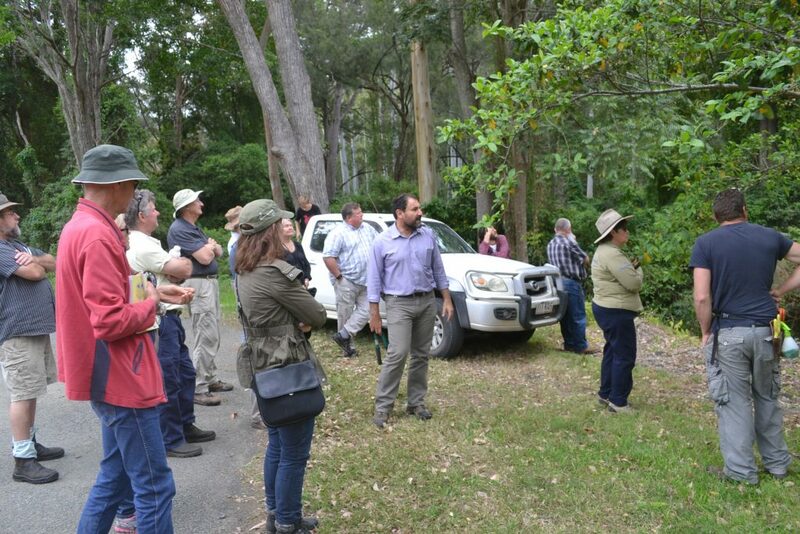 ALERT: we have just been informed by SEQ Catchments area manager, Dennis Gannaway, that the funding for the initial pilot project to clear up our section of Christmas Creek has been approved. The Goal: to empower local residents to take control of the creek's health. Next stage is to send an alert around the valley so every one can get their gloves, hats and siccateers on order.